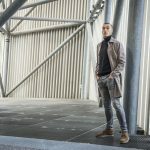 It is that time of year again where the days get longer and the sun shines – for at least a day or two – and we all have to dig out our summer clothes that have been hiding in the back of our wardrobe for months on end. Welcome to the British summer, sporadic sunshine and rain meaning you need to carry an umbrella and sunglasses to make sure you’re prepared. 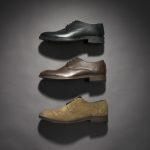 Here at Frank Wright we want to make your footwear one less stress, by offering a selection of shoes that can look as good on a summer’s day as they do avoiding puddles. 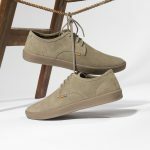 Our spring/summer collection is full of options including the popular Lomond style (available in Sand, Rust and Black colourways) a casual plimsoll style, which features a rubber sole unit and suede upper. Stylish features include Frank Wright grey and orange tab on the side of the shoe. 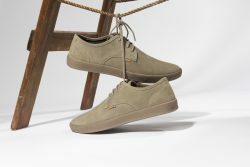 The Lomond can be styled with casual jeans as well as with smart trousers, making them the ultimate versatile shoe for all your style needs, while the lightweight suede upper and rubber sole give a lightweight comfort to the shoe. 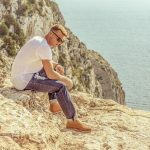 Tigers, another popular style for the summer, combining on trend athleisure styling with a more formal twist, the men’s style is available in sand, dust pink and navy. 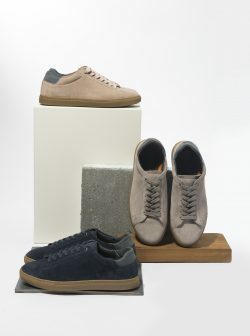 The men’s Tigers style is versatile due to its casual silhouette; they look great teamed with chinos or trousers for a working lunch but also dress up casual jeans for those weekend beers, this trainer combines comfort with style making it the perfect casual addition to your weekend wardrobe. 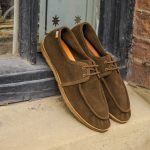 The bonus to these on trend men’s shoes is that you can take them on your holidays and style them with shorts and a t-shirt, they really do go with everything! Make sure you snap up a style while you can, these styles are destined to sell out!